Following another successful BCI World, Charlie reflects on his observations from his time at the conference. 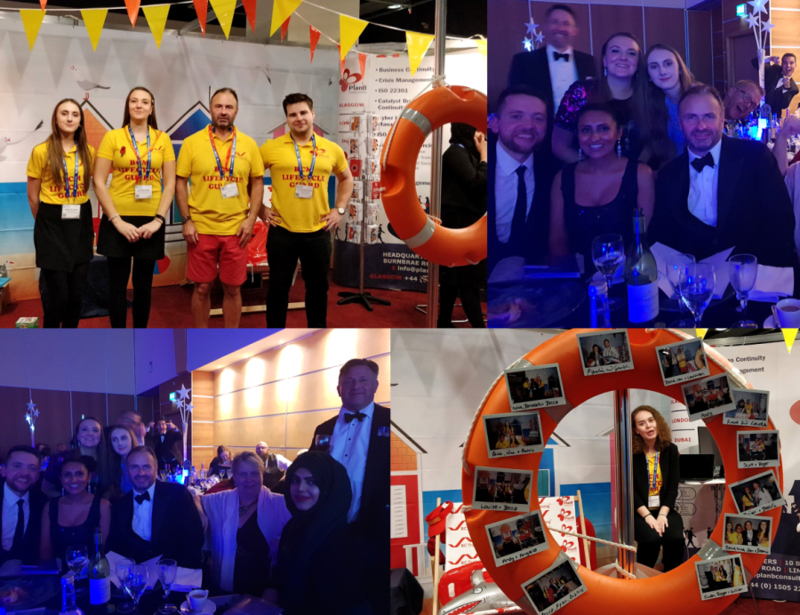 This week, the BC Training and PlanB Consulting team shared a stand at the conference, so I thought I would share some thoughts and observations on the conference and how the events that occurred relate to the wider profession. Thanks to all those on LinkedIn who offered their ideas for future bulletins, I will work through the list and use some of your ideas over the next few weeks. About 7 years ago, the main exhibitors at the conference were business continuity software vendors. It seemed like every senior business continuity professional had some software in them, so they teamed up with a software house and produced a software package. Over the next 2-3 years, one by one they slowly faded away. Some went bust, while others, I suspect, found that the market for software is limited, the money was not there and it was not worth going to the conference. The software wave was followed by the IT/DR vendors, which had a brief flourish, before wall-to-wall notification vendors took over for the last few years. This year there were three vendors, as the market has consolidated and the stronger vendors have bought out the weaker ones. The software vendors this year were a lot more international than the earlier wave several years ago. There were a number of USA based companies alongside Swedish, Canadian and a few others. Out of the first wave, only Clearview and Daisy were left. Although some of this year vendors were built by practitioners, many just sold the software and didn’t come from a business continuity consulting background. The other thing about the software on sale is most of them did the same thing. They managed a BCMS and all had similar functionality, I didn’t see any ‘killer’ functionality which singled any of them out. So, the two things I took away was the software market has become more global and there are lots of similar offers out there, the differentiation for purchasers will be on complexity versus simplicity, and price. I thought the show was busier than last year. I am not sure if this is down to the economy continuing to improve or if the interest in business continuity is growing. My conclusion was that the profession is in rude health and that it is not fading away anytime soon. Although the BCI is pushing resilience and trying to ‘reach out’ to practitioners beyond business continuity, there was little evidence of this from those who attended the show. There were a number of people with resilience in their job title, but when you actually talked to them, they were business continuity people, rather than any other part of the resilience disciplines. Secondly, there were no cyber vendors amongst the exhibitors, so although the BCI is trying to move intellectually into the cyber space, the cyber community does not recognise this and felt no need to advertise their wares to business continuity practitioners. It was great to chat to lots of you at the show, but I have to single out Mark C who is a super fan of the bulletin and reads it avidly each week. It is always great to get some feedback and to know that people are reading them!